Like all of us, non-profits need to keep the lights on. However, unlike most of us, keeping the lights in a non-profit can involve a rigorous grant process that involves a lengthy application, program evaluations, letters of recommendation, work samples, theories of change, and fourteen signatures. Even the most innovative social sector profits still rely on grants and philanthropy, so when funding opportunities present themselves, it can be extraordinarily difficult for an Executive Director of a Board of Directors to say that magic word- “no.” After all, there are programs to run and staff to pay. But at the end of the day, not all dollars are created equal. In fact, some dollars may not be worth chasing at all. But at the end of the day, not all dollars are created equal. In fact, some dollars may not be worth chasing at all. 1. It’s not who you are. A well-defined mission is vital to an organization’s success. At trepwise, we work with for-profit and non-profit organizations seemingly daily on developing and refining their mission statement. It is the guiding statement that defines what you hope to do and how you plan to do it. Whether it’s in strategic planning or through an accelerator, we consider our cultural work critical to defining impacting and creating a sustainable organization. A mission should not only guide your internal culture, but it should dictate how you evaluate potential funding sources. If you’re applying to grants, assess whether they fit into your overall plan and strategic priorities, so that every dollar you raise helps you accomplish your mission. For example, the SPCA should not consider creating a program to teach prison inmates computer programs. Although this program offers a benefit to society and could provide necessary funding to the SPCA, it muddies the waters around who the SPCA is and what it is trying to achieve, otherwise known as the infamous “mission creep.” As Kim Jonker and William Meehan echo in the Stanford Social Innovation Review, “The price of saying no can be very high. But smart nonprofit leaders understand the cost of saying yes. 2. It’s not who your staff is. Your staff is great at what it does. However, even the most talented staff member cannot do everything. When assessing funding for a program, ask yourself whether any of your staff already have the skillset needed to successfully do the work. To train current staff or hire new staff takes time and money- two things that led a non-profit to search for funding in the first place. Even if you have staff that can learn these skills, are you taking them away from what they do best? Even worse, if you do not fulfill your grant, you can tarnish the reputation of your organization in the community and with funders. As a non-profit, your reputation is one of the most precious that your organization controls.2 It takes years to build the standing of your organization, and it can all be wiped away in a few hours by taking on the wrong dollars. It takes years to build the standing of your organization, and it can all be wiped away in a few hours by taking on the wrong dollars. To slightly alter our SPCA example, the organization could apply for a grant to bring therapy animals to prison inmates. However, does the organization have the staff resources to dedicate a staff member to this program? Do they have the correct trainings to equip a staff member to thrive in that environment? Do they have an interested partner and the necessary logistics figured out? 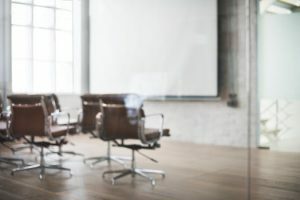 Even if the staff has the capacity and the skillset to take on this new program, you would be taking them away from what your organization is trying to achieve to get this new program running. If the new program is not as successful as you thought, you can lose the trust of the staff running the program, your constituents who turn to your organization for assistance, and the community at large, who recognize you as a positive change maker. 3. It’s too much for too little. As I said earlier, every dollar is not equal. For both large and small non-profits, a grant should be an opportunity to Increase impact. It takes time, capacity, and resources to manage how the funding is spent, how staff is allocated, and how to guarantee a program’s success. But what happens when managing this funding takes up more time than the funding provides? Grants may have stringent reporting requirements, logistical parameters, or difficult funders. Nurturing relationships and proactively tracking grant data can come at a cost to older programs and funding sources. 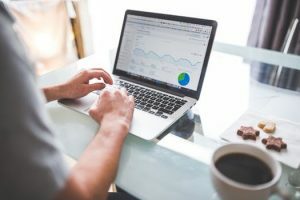 As you consider taking on funding for a new program, think through if the amount you are receiving is sufficient for not just the start-up costs associated with the program but also for running the program efficiently and effectively. 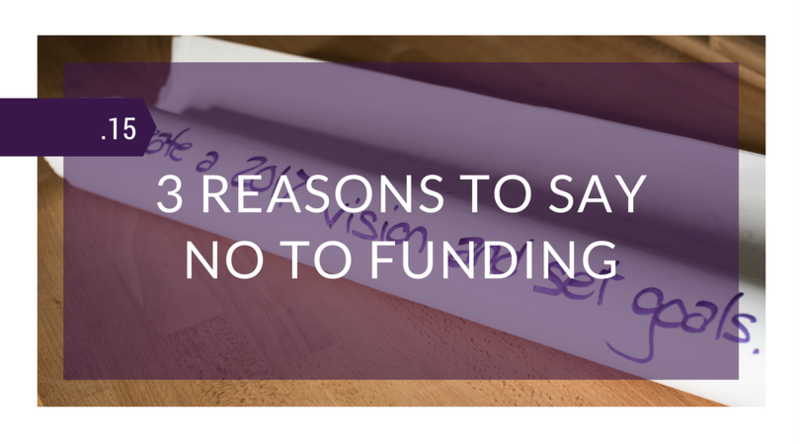 Funding is such an integral part of your organization. At trepwise, we work with our clients to ensure they are raising the right money to make the biggest impact they can in their community. Alex is a Senior Associate at trepwise and specializes in finance and operations. He runs all ideas by his fluffy Goldendoodle, Daphne.